Tony Stark deals with the global affairs of his company and War Machine confronts Biohack Ninjas in Tokyo in Invincible Iron Man #7: The War Machines Part 2, as a new threat to the Marvel Universe begins to emerge. Calling on some unexpected assistance from Spider-Man, Iron Man and War Machine must prepare to face a deadly new menace! Invincible Iron Man #7 continues The War Machines story arc where Tony Stark is already late for a very important meeting. 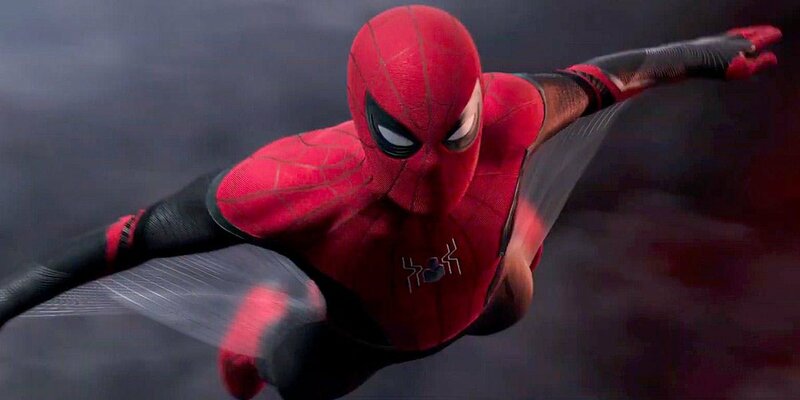 When it becomes clear that Rhodey is missing in Japan, Tony’s armors AI, Friday, is soon on the case, and together with some concise observations and suggestions form new assistant Mary Jane Watson, Tony finds himself calling on an unlikely ally for assistance – Spider-Man! Meanwhile in Japan, Colonel Rhodes is up to his neck in trouble as War Machine after being captured by the Biohack Ninjas. 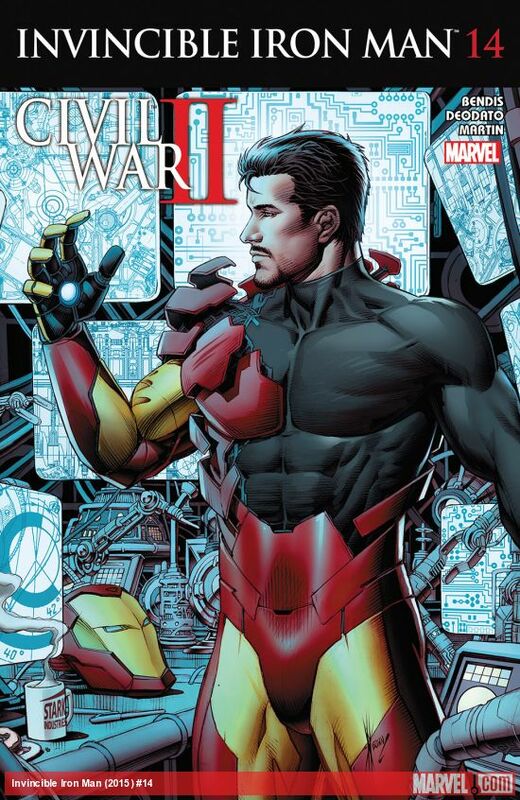 Brian Michael Bendis cuts right to the chase during second part of The War Machines saga, particularly when it comes to some pretty major issues for Tony Stark and his company. Indeed, the addition of Mary Jane Watson to this series is already proving an inspired move. MJ’s meeting with Tony to discuss her new role at his company is a prime example, she’s also clearly done her homework, puts loyalty to the “sisterhood” before anything else, and its clear right from the outset that Mary Jane is going to be no pushover when it comes to dealing with the eccentricities of Stark‘s way of thinking and shaking up the status-quo. The characterization and plotting Brian Michael Bendis employs in this issue is superb. 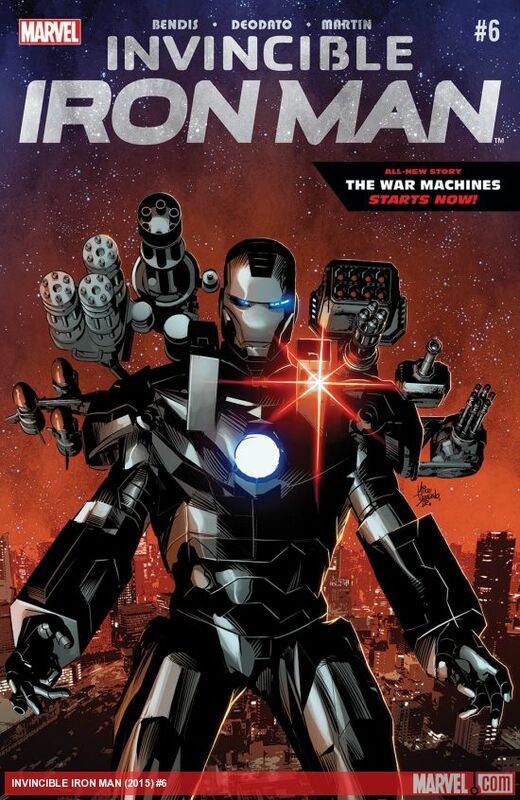 His handle on the characters is pitch perfect, the opening scenes alone between Tony, MJ, and Friday, are a sublime mix story and exposition which finely balances the overarching narrative with the action unfolding in Tokyo with War Machine. It’s also great to see Spider-Man in this issue as well. 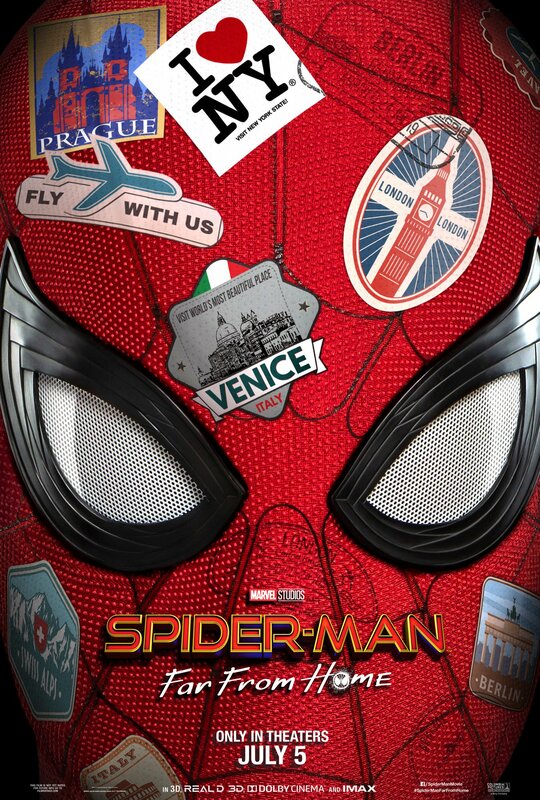 I guess it was inevitable that Tony Stark’s path would eventually cross Peter Parker’s and Parker Industries at some point, especially now they both move in the same business circles. This really allows Bendis to capitalizes on the interesting dynamic already evolving between Tony and MJ, particularly as he doesn’t know everything about her connection to Spider-Man / Peter Parker. I also really liked the scenes where Tony is surprised to learn that Mary Jane has Peter Parker’s emergency number! The series’ new artist Mike Deodato and colorist Frank Martin continue to make their mark on this title. The impressive décor at Stark gives way to the technological splendour of Tony’s lab / workshop, as Deodato relays Tony’s and MJ’s meeting across a spread of numerous panels; which collectively forms collage-like page layouts of interlocking imagery that seamlessly blends dialogue and movement to hit every emotional mark to perfection. Mike Deodato and Brian Michael Bendis are a brilliant team for Invincible Iron Man, they instinctively know what makes the story and visual work in unison, and the results here are stunning. Along with his impressive take on both the Iron Man and War Machine armors, Mike Deodato, to coin a phrase, also draws an amazing Spider-Man, and the sight of our friendly neighboured / globetrotting web-spinner set against the gleaming Tokyo skyline at night is absolutely breathtaking. Frank Martin’s colors also really come into their own in this issue, with the soft tones and hues inside Stark’s building giving way to the shadows and glowing instrumentation in the lab, while a subtle noir tone permeates Spidey’s web-swinging across Tokyo, and the ominous gloom of War Machines predicament feels genuinely menacing. The humour in the issue of Invincible Iron Man is sure to raise many a wry smile or two. Bendis cleverly eschews what was once a very familiar Iron Man trope as Tony sidesteps his green-eyed animosity towards Peter Parker to get his number from MJ, so he in turn can ask Peter to get his “bodyguard” Spider-Man to begin looking for Rhodey while Tony suits up jets over to Tokyo himself. Indeed, Tony’s jibes about his father, real or otherwise, along with Peter’s phone number, and the tracking device in Rhodey’s armor are all key instances that highlight what make this Marvel series and its characters feel so real and the plot so enjoyable. Invincible Iron Man #7 might be a little light on actual Iron Man action, but the time is well spent developing the new story arc and the relationships between the characters, and it all races towards a triple-edge cliff-hanger of sorts that hones the plots momentum enough to keep up eagerly awaiting the next issue to see how everything is going to knit together. 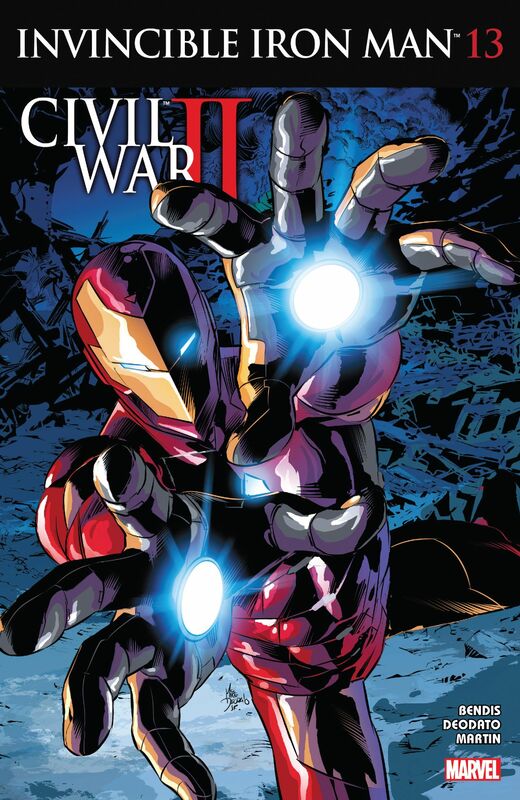 With the excellent writing of Brian Michael Bendis continuing to impress on every level, combined with the superb artwork by Mike Deodato, the high quality of Invincible Iron Man #7 is a sure fire indication that Iron Man’s adventures and The War Machines story line looks set to be one hell of an exciting ride! 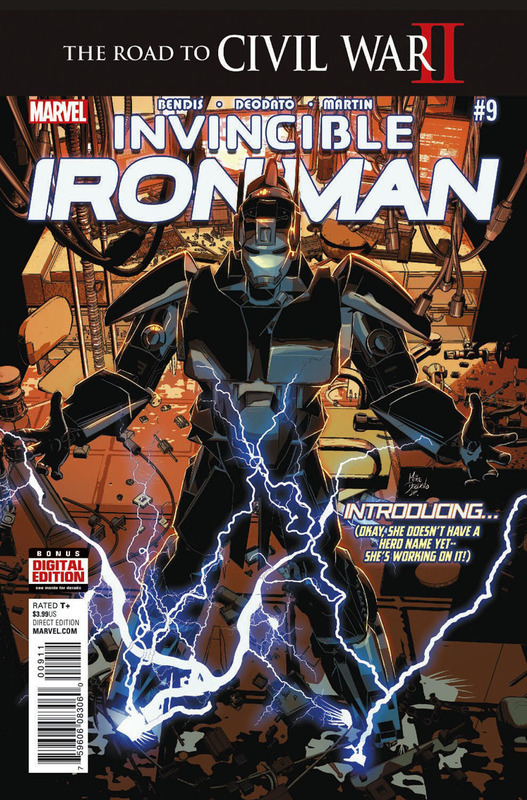 Invincible Iron Man #6 marks the start of a brand new story line: The War Machines. There’s something afoot in Stark’s global organization, Tony Stark must investigate Madame Masque’s recent spate of worldwide thefts, and establish the connection with the Biohack Ninjas that were following her. 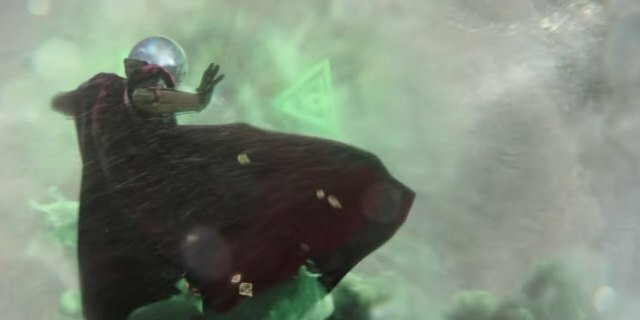 Iron Man and War Machine will soon face a deadly new threat, and we get our first hint at some of the major developments ahead for the Marvel Universe! 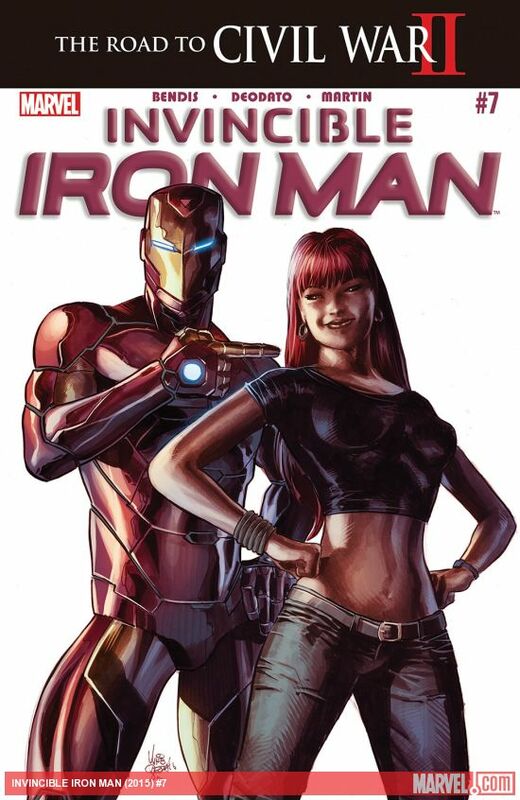 Marvel’s new Invincible Iron Man title has already seem the debut of Tony Stark’s new shape-changing Iron Man armor with its advanced AI, Friday, as well as an unlikely team-up with a reformed Victor Von Doom to defeat the demonically possessed Madame Masque, and the introduction of Mary Jane Watson into Tony’s life. Now a new chapter begins; one that holds some big game-changing developments for Iron Man! 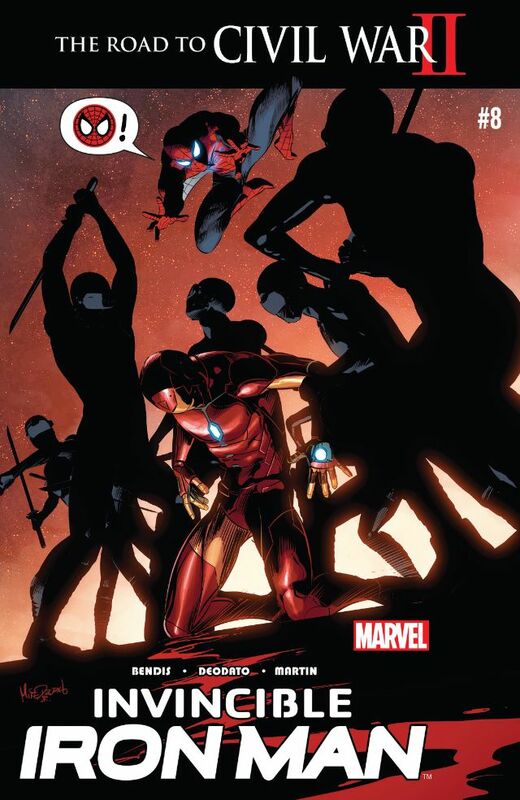 Invincible Iron Man #6 kicks off The War Machines story arc with Tony’s ongoing investigating into Madame Masque’s break in at the Star Tower in Japan, where it seems the security footage has been inexplicably compromised. However, Tony is in the middle of a very important… project at the moment, so it’s up to Rhodey to be his eyes and ears in the field in Tokyo. As Tony’s relationship with biochemical biologist Amara Perera continues to blossom in the States with breakfast, and waffles at a Diner, a former Alexandre Drumas-style mask-wearing super-villain interrupts to address some potential demonic loose ends concerning Madame Masque, and Colonel Rhodes goes all 007 in Tokyo as he investigates an underground nightclub. 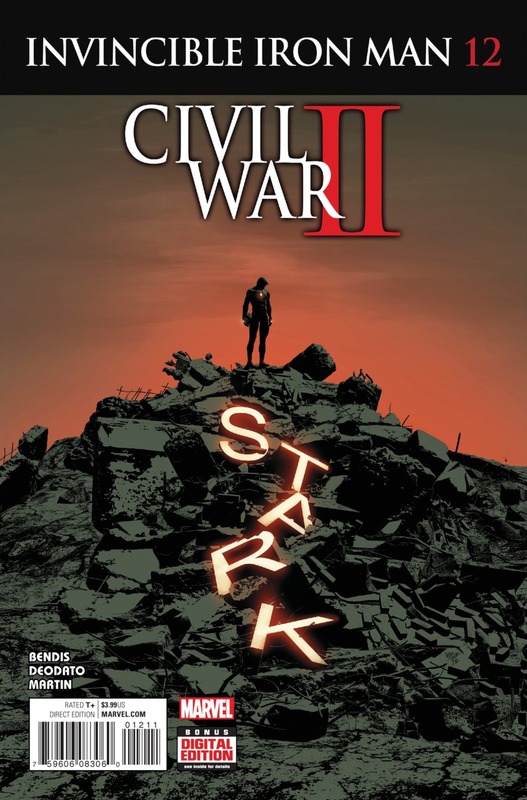 Brian Michael Bendis establishes several new plot lines here while bunching together numerous elements from the first five issues, entwining everything into an intriguing new direction for the series. Each scene that is steeped in mystery is nicely counterbalanced by the lighter, more humorous moments that Bendis always orchestrates so well. Tony’s new relationship with Amara is also developing well, there are some great scenes between them, and we also lean that her research into Alzheimer’s disease has already had extremely promising results. The scenes in the Diner are another big highlight of the issue, especially when their breakfast is unexpectedly interrupted. It’s always fun to see Tony and Rhodey working together, the banter between them is brilliant, and I like how Tony’s AI Friday can also be shared with the War Machine armor. The War Machines story line also brings the addition of a new artist, Mike Deodato, and colorist Frank Martin, who now join writer Brian Michael Bendis on this title. Mike Deodato has worked with Brian Michael Bendis many times before, and they make a great team for Invincible Iron Man. Brian Michael Bendis intuitively builds the characters and entwines their story arcs, which in turn plays to Mike Deodato’s strengths as an artist, and together they ensure the momentum of the plot gradually unfolds at a natural pace before we get the payoff with some truly epic pages of intense action! Mike Deodato’s art is excellent throughout, from the gleaming skyline of Tokyo, to the more down to earth scenes in the Diner, and the shadowy world of the underground club, every page encapsulates the mood and pace of the story perfectly, and the atmospheric colors by Frank Martin are stunning! The expressions of the characters are also superb, their emotions are effortlessly conveyed, and Deodato’s take on the War Machine armor is also very impressive. Although Tony and Rhodey don’t actually use their armor suits all that much over the course of this issue of Invincible Iron Man, their suits are never far from the action, especially in Tony’s case, but when War Machine does swoop into action its all breathtaking high-flying stuff; and it all builds to a highly unexpected ending that could make you lose your head with excitement over the wait to see what happens next issue! 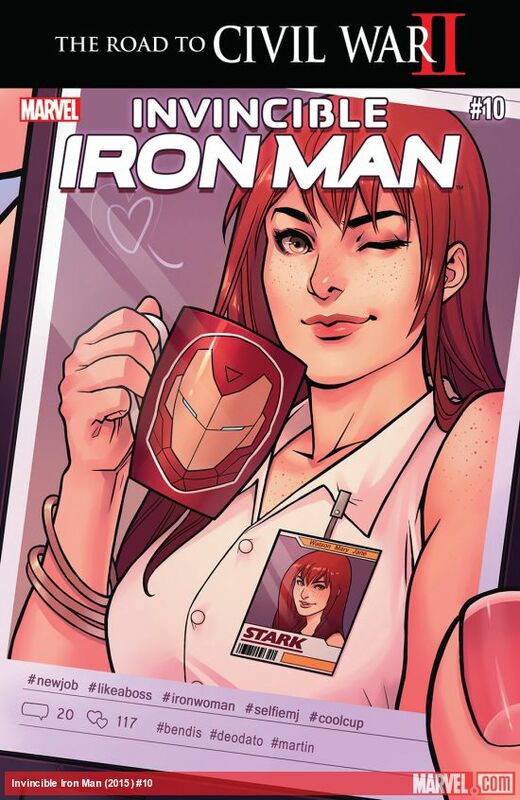 Invincible Iron Man #6 quickly establishes the new story line, events move at a slightly slower pace initially, which really allows the characters to shine, and the cliff-hanger ending is one of the best so far in this new Marvel series. 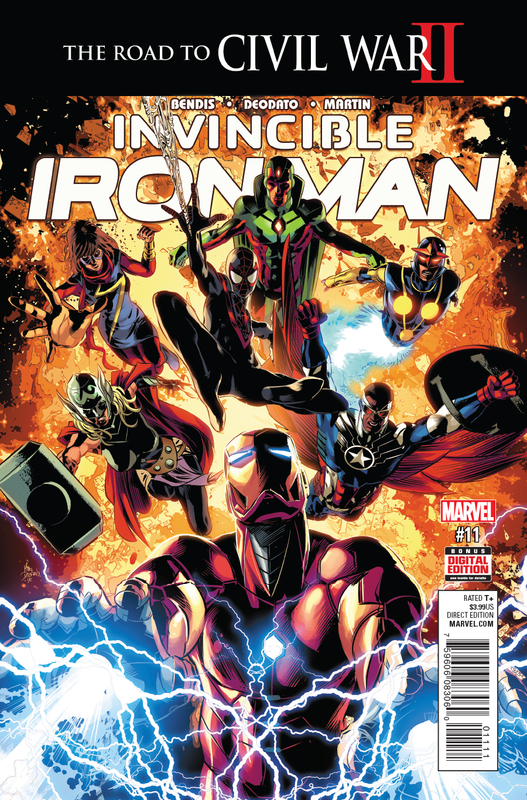 With the assured writing of Brian Michael Bendis this title continues to go from strength to strength, and together with the addition of Mike Deodato striking artwork, it not only makes this issue of Invincible Iron Man a perfect jumping on point for new readers, but an absolute must have for fans of shell-head’s adventures too!